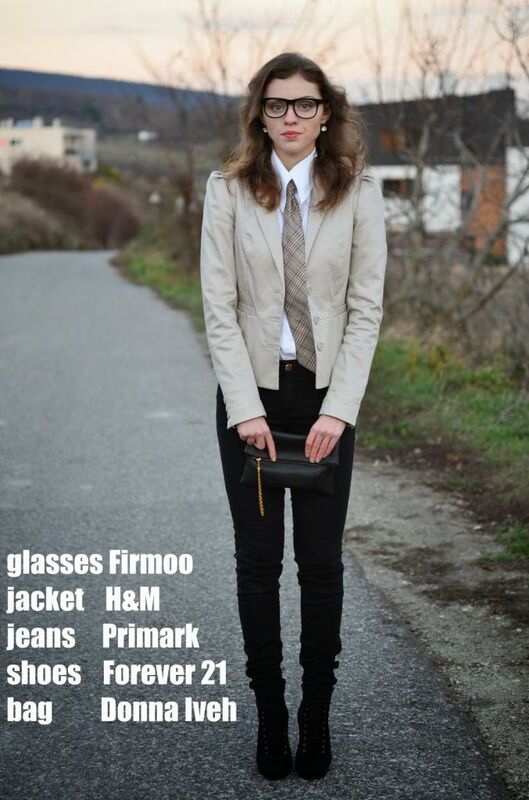 I was lucky to be a part of promotion for Firmoo which is the biggest global online optical store! 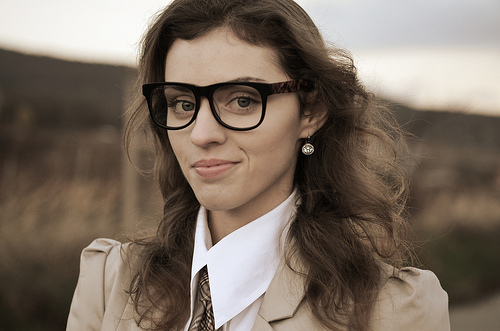 I chose fashion eyeglasses model #DBSN5268. It was delivered fast and they look like on the website. The quality is also high and I didn´t see any faults on it. These days they have a great program called ” First Pair Free Program” where you can get eyeglasses for free, just for shipping! check it out on http://www.firmoo.com/free-glasses.html. Mala som šťastie, že som sa mohla zúčastniť “promotion” pre Firmoo, čo je online obchod s okuliarmi a slnečnými okuliarmi. Ja som si vybrala módne okuliare model #DBSN5268. Veľmi rýchle doručenie a okuliare vyzerajú tak ako na web stránke. Kvalita je bezproblémová a bezchybná. Teraz majú akciu, ktorá sa volá ” First Pair Free Program”kde môžte získať okuliare podľa vlastného výberu zadarmo, iba za poštovné! Ako sa obliecť v zime? GORGEOUS AND LOVE THE GEEK CHIC! Nice photos. Love those all. great looks I do want to follow you! Like your blog. New follower. I’m following you right now. hope you can follow me too!!! 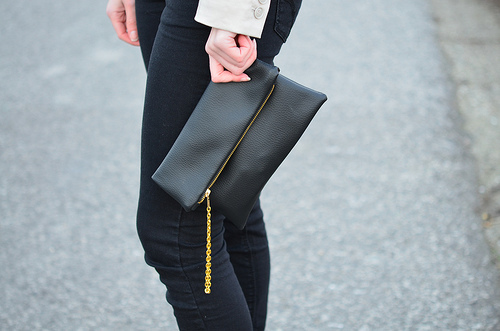 i absolutely love your clutch and yes we can follow each other..i always follow back!! hiya there! thanks for your lovely comments! of course, do follow each other! i’ve already your new follower! i love those glasses! i seen a lot of bloggers blogging about this firmoo glasses! Very gorgeous and professional! Love it! You have amazing style !! Follow me back, would be great! Stopping by your blog, I’m deciding to follow you, if you would like to follow me as well at http:fitsonme.blogspot.com. Oh I love this outfit. The twist of menswear and a feminine flare of the heals gives it a sophisicated look! Cute work outfit! Check out my blog, follow me if you’d like, and I will follow you back right away! Following you on GFC! 🙂 See you around! I love the glasses on you, so cute! I’d love to follow each other – now following you via gfc. Cute glasses! Which model are they? And love the H&M bag! Nice glasses! I have a pair from Firmoo as well! I love yours, and of course I wanna follow you. I already follow you on GFC, Twitter and Facebook! 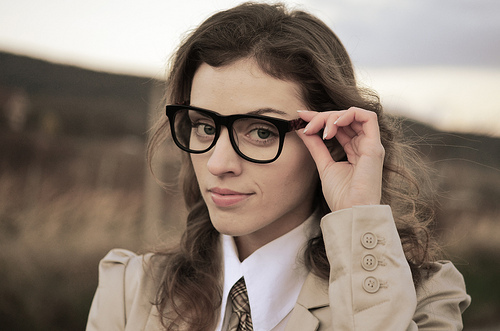 Thank you for you lovely visit to my blog.I really think you are beautiful and love your glasses.They fit you perfect.I am following you from now.Hope you follow me too. OMG thank you so much for your comment on my blog! i have the same bag but diferent color! And yes we can follow each other on GFC and bloglivin! Wow, i totally read that wrong the first time about your bag. I love it though!! Thank you for visiting my blog. I love the outfit! Maybe we can follow each other? I want those glasses, so cool! Great blog, you made the clothes? Thank you for visiting my blog! Sure, we can follow each other. I’m following you, hope you do the same. Just stumbled across your blog! I love it! I await more posts! Great and formal outfit! The eyeglasses are very cool! Your sense of style is definitely something I can relate to. Amazing work outfit dear! LOVE IT! I am so in love with this bag you’re carrying. Great piece. Feel free to come by! love your outfit and skinnies a lot! Thanks for the love hon, I’m following you now, don’t forget to follow back! Thank you for your comment. I really love your blog, your outfits and photography. Amazing! I’ll wait for my blog!! Very cute glasses! you have great style! I am your newest follower! Hi 🙂 I find your blog interesting so I am now following you 🙂 It would be nice if you check my blog and if you like you can follow me back 🙂 Ciao! good pictures. I love your blog! i can’t get over how much I love those glasses on you. they suit you so well. I absolutely love love love your outfit! It is perfection! I am so happy to follow you! Great style blog! Would you like to follow me back? Hi dear !! !Thank you for comming to my blog! So your blog is realy cute and you look beatiful in this firmoo glasses and I love the outfit where are the women to wear a tie! great choice! Now I’m your new follower ! Hope you follow me back now ! Bye and have a great day! I’m hosting a $100 Lulus.com gift card giveaway on the blog. Hope you can enter! Nice glasses, dear 🙂 I’ve just had my pair delivered not long ago. Hi! You look great in that glasses! Outfit looks nice too! Kisses! Following each other sounds great. Let me know when you do it and I’ll follow right back! Such a cute outfit, love your hair also! Thanks for coming by, and yes let’s follow each other, i am doing so now!